Pigmentation treatments are used to deal with uneven skin color like freckles, melasma and age spots. There are a number of ways to treat pigmentation such as, cosmoceuticals, prescription medications, as well as chemical and laser treatments. Skin Care (Cosmoceuticals) – We use medical strength cosmoceuticals, sometimes with prescription medications to help you even out skin colour. We use a combination of Prescribed Solutions, Zo, Swiss TEC and Alyria to give you the best possible combination of skin care. Prescription medications such as retinoids are sometimes used to aid in pigmentation treatments. Chemical Peels such as the VI Peel and others are used in conjunction with skin care to help reduce and remove pigmentation. Laser Treatments ( we have a multiple choices of wavelengths available to us) are often used for treating darker patches of skin when there is hyper pigmentation or other darker patches of skin that are not responsive to cosmoceuticals or skin peels. Laser skin treatments work well but may require 4 or more treatments to achieve a great result. Treatments such as Fraxel, laser skin resurfacing are also used to treat pigment issues as well as a number of other lasers. Lastly with all treatments the use of sunscreen is of prime importance in aiding in the treatment of pigmentation problems as well as in maintenance treatments. At BC laser we have a choice of many lasers as well as a great deal of experience in treating pigmentation problems of the skin. Each person is different and responds differently to the many treatments available and we therefore recommend an assessment with our physician. To start your pigmentation treatments at BC Laser and Skin Care Clinic in Surrey, near Vancouver, book your appointment by calling 604 580 2464. We have a great deal of experience in treating darker skin types as well as lighter skin types that experience pigmentation problems and treat many darker skin types at out clinic with great success. 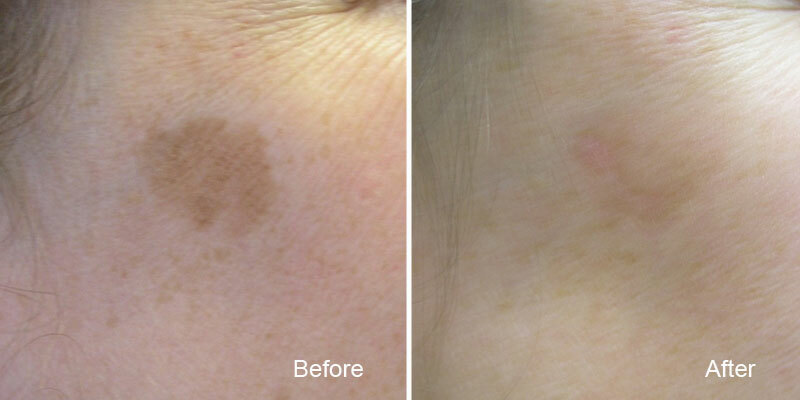 These pigmentation problems may be as a result of hyper pigmentation or melasma. How to cover dark circles under your eyes! Which laser is better for reddness?